Do you see the face? 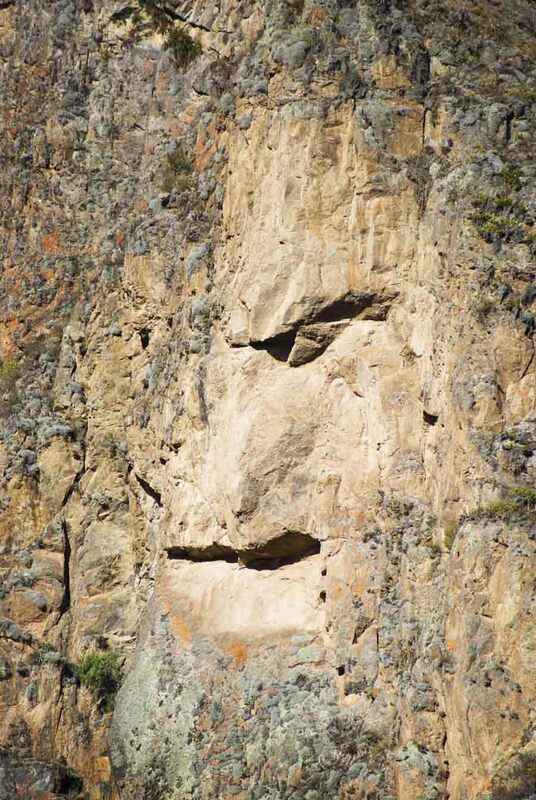 Located in the Sacred Valley of Peru, this rock face actually has a FACE! The Sacred Valley is a must stop on any trip to Peru and this cool rock on the side of a mountain is just one of hundreds of reasons why. This face reminded me of “The Old Man of the Mountain” growing up; a face jutting out of the White Mountains of New Hampshire. This guy doesn’t look as happy however. Our travel club goes on a group tour to Peru every year and we always stop to photograph this unique natural phenomenon. The view that this face is looking at is pretty awesome too. To see that you’ll just have to come with us next time! I totally see the face!